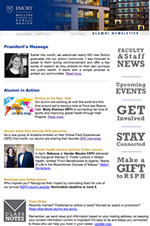 Stay informed about public health news and university-wide updates with these campus resources. 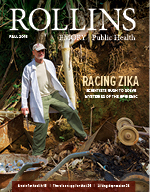 Read in-depth articles about interesting people and cutting-edge research at Rollins. 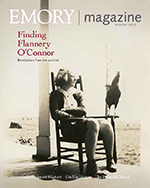 Published quarterly for Emory alumni and friends, delve into features pertaining to Emory University at large. Stay abreast of alumni activities, news, and events. Tap into an array of publications, blogs, and press releases associated with the entire Robert W. Woodruff Health Sciences Center community, including Rollins.